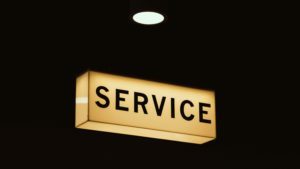 The first service ‘jobs’ I did as a sober alcoholic were stacking chairs, emptying the bin, sweeping the floor, dumping the ashtrays (back in the day), washing the cups, etc. I don’t recall whether I pitched in because my sponsor (and/or someone else) prodded me, or—more likely—so I could spend additional time with all those cheerfully weird people who had welcomed me to AA. At some point in those first few months I was asked if I would be willing to be a greeter the following week. I agreed—although the idea of standing in a doorway welcoming people (many of whom were strangers) and shaking hands triggered several self-centred fears. I survived. And I stayed sober. Being a greeter was like every service position I have ever had in Alcoholics Anonymous: not what I thought it would be. This includes my current position as a General Service Board Trustee from the Continental European Region (CER). Early on, I was taught a version of ‘never say “no” to an AA request’. Over time, I learned a couple of things about ‘AA requests’. It includes things like being a participating member of my household and family, being a decent employee and colleague, not being a jerk while driving (still some growth needed there), etc. Being able to, to some extent, do those things is in part because of having done what I could to be of service in Alcoholics Anonymous. Trying to the best of my flawed and limited ability to give back to the fellowship that saved and changed my life. I have learned that this doesn’t mean I will get to do every job I want to do when I want to do it. It means I need to learn and understand the difference between wanting to be of service in AA and wanting to hold a certain position. My journey in service has not happened and does not happen on my timeline. I stood for trustee three times. I stood for delegate three times. In my early years, I stood for GSR three times. I don’t remember how I felt about not getting to be GSR when I wanted to, but I remember how grateful I became that I did not get elected delegate or selected to become a trustee according to my own time plan. I was a better delegate, with more relevant experience to offer, having to wait for three elections. And although I am still early in my rotation—I suspect that I am a better trustee than I would have been if I’d been selected earlier. I hadn’t actually planned to stand a third time. But AAs whose experience I value convinced me to consider it again (and my sponsor declined to give me a reason to say no). Not quite a year into the rotation, I am once again discovering—daily—that a service position isn’t what I thought it would be. What is a trustee? First, it is a huge responsibility. As members of the General Service Board, the sixteen trustees (one from each region), chair, vice-chair and honorary treasurer (who, with the general secretary make up the board’s executive committee) and non-alcoholic trustees (affectionately known as ‘NATS’) are “responsible to the General Service Conference for carrying into effect the decisions taken by the Conference on service matters”. Further, the board “is required to give an account of its stewardship to the Conference annually” (Structure Handbook). The General Service Board is the board of the UK registered charity Alcoholics Anonymous Great Britain Limited, which serves the Fellowship of AA in Great Britain and the English-language groups and intergroups in continental Europe. It is at the bottom of our service structure’s inverted triangle. The board is not the fellowship; the board serves the fellowship. Board members take on various disciplines—Public Information, Literature, Young People, Electronic Communications, etc., and chair the various board sub-committees, on which AA members perform service for the fellowship. There are also executive, finance and nominations committees, on which only board members and the general secretary serve. We travel a lot. There are three board meetings a year plus a board workshop. Each sub-committee meets up to four times a year. Regions also meet quarterly and the trustee from each region attends those assemblies. A trustee, depending on discipline(s), will likely travel at least twelve times a year during a four-year term. At board meetings we review the finances and take up all pressing business legally required under UK charity law to be handled by the board. There is also the continual work of implementing the directions of the fellowship as decided at each year’s General Service Conference (which we attend). It is a lot of work. It is enormously satisfying. It is also humbling. I once heard an AA speaker say that anonymity ‘means giving up my right to make a big deal out of myself inside or outside of AA’. My time as a trustee has made me understand this in a way I never had before. 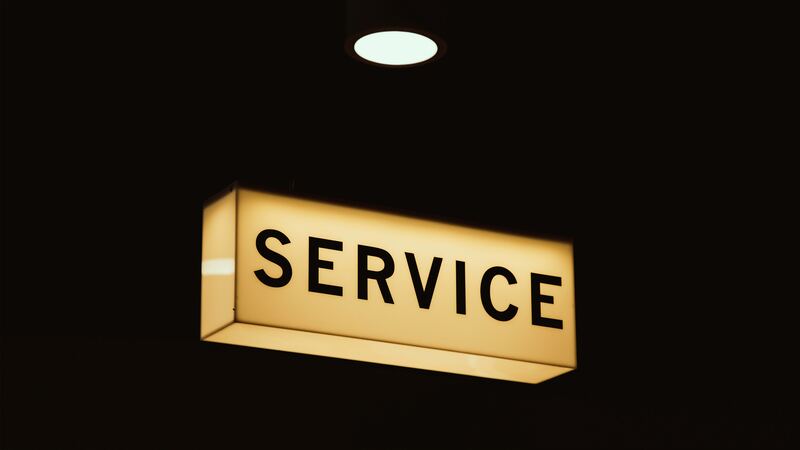 The moment I start to think about me in service is the moment at which I cease to be, as our Big Book puts it, ‘of maximum service to God and the people’ around me. This is so whether I am helping put the room in order at my home group or attending a board meeting. The alcoholic members of the board are, simply and finally, AAs who have been sober at least ten years, who have the requisite experience and who are willing and able to offer their imperfect selves to be of service to the fellowship. We work to try to ensure the fellowship has what it needs to be here for the alcoholics of tomorrow. We are, like greeters and GSRs, just ‘trusted servants’ who are ‘directly responsible to those [we] serve’. I am awed and grateful for the opportunity.